Disney In Pictures - Cast Members! My daughter and I were at The Magic Kingdom, it was very hot and I had just started a new medication that was not agreeing with me. I started getting dizzy and nauseous so I walked over to first aid where we greeted by Marietta who had a smile on her face even though I was not in the best mood. She asked me my name and told my daughter to sign me in so she did and she escorted us to the back and she knew exactly what I needed she put me in a dark and quiet corner. She asked me what was wrong and if there was any history she should know about so I told her about my high blood pressure and the new medication. She checked my blood pressure and my heart rate, which was kind of high, she offered to call the paramaedics but I declined. She offered me a Powerade and suggested that I was probably dehydrated. She went off to tend to some more people and then she comes back and asked me more in depth questions. She and Karen, who was another awesome nurse there, they told me stuff about the medication that I was taking that the Doctor did not even tell me. My daughter has anxiety and gets worked up very quickly and goes down hill really fast. Marietta had no idea that my daughter has these issues, maybe she saw it in her eyes. She was very calm the whole time and always smiled and spoke very softly and kindly to my daughter. She taught my daughter how to take blood pressure which is something she was fascinated by and always wanted to learn. Before I knew it my daughter was smiling and enjoying her time in First Aid and I was feeling much better. She advised me to stay a little bit longer and so she can monitor my heart rate a few more times, so I did. After about an hour I was ready to go out and enjoy Disney again. I toke her advice and drank alot of water and Powerade and my day went great. I feel that she saved my life that day by telling me about some horrible side effects of the medication I was taking. They say everything happens for a reason. I feel she was my angel in more ways then one. One lovely summer evening, I had dinner at Tony’s and sat outside on the veranda! 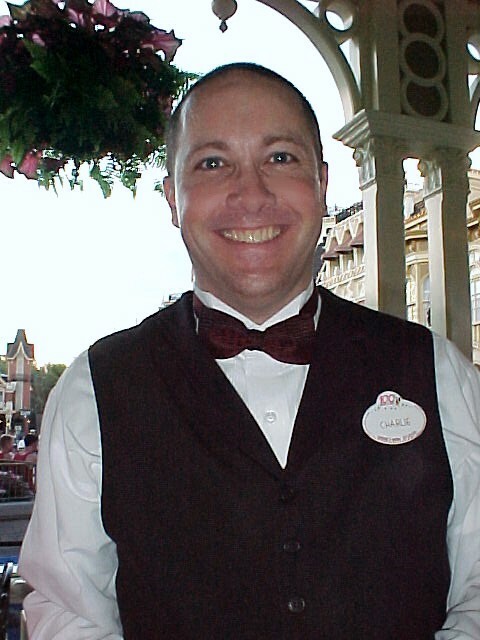 This was our server, Charlie! He gave us the best service I’ve ever had at any restaurant. This was in 2002. He certainly put the ‘Magic’ in Magic Kingdom! After spending 2 days at Magic Kingdom, we spent our 3rd day there doing all the character meet and greets. We met this wonderful Cast Member while meeting Woody and Jessie. She asked us who we had and hadn’t seen…. the only meet and greet we had not done yet was Aladdin and Jasmine. She was wonderful enough to walk us over to meet them. While posing for pictures, she left and returned with several pins for him to add to his collection or trade. 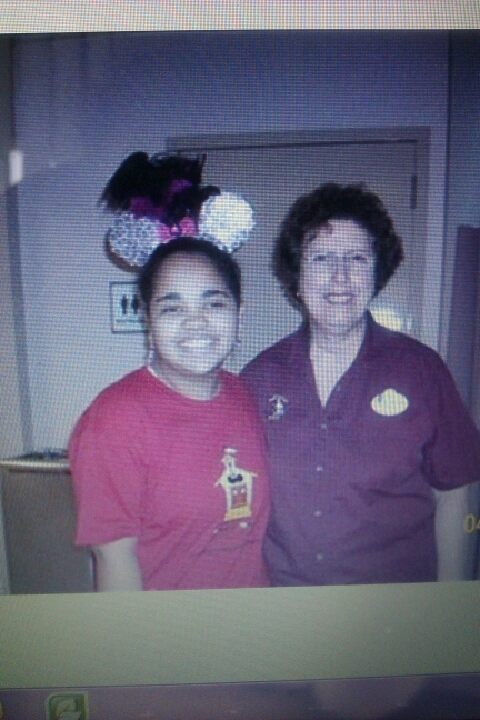 It’s Cast Members like her, that help make the trip extra special!!! Now fast forward almost exactly four years, to June 10, 2012. 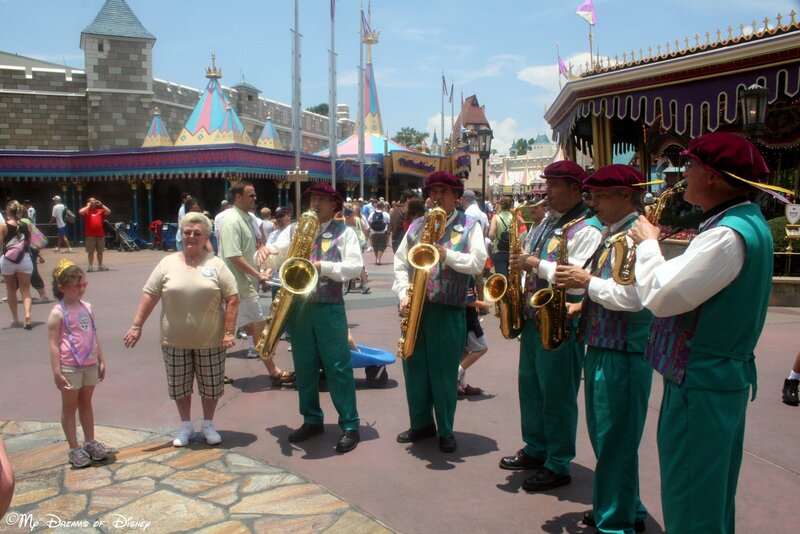 We were once again in Fantasyland, and once again we saw the Dapper Dans! As always, they were incredible, and after their performance, they once again had their picture taken with Sophie! There are so many other stories that I will share with you in the coming days. We have been truly blessed to have some absolutely incredible experiences with Cast Members, so I’m going to do a series of posts about some of those encounters. That’s all I have for now, have a great day, and thanks for stopping by! Great stories! 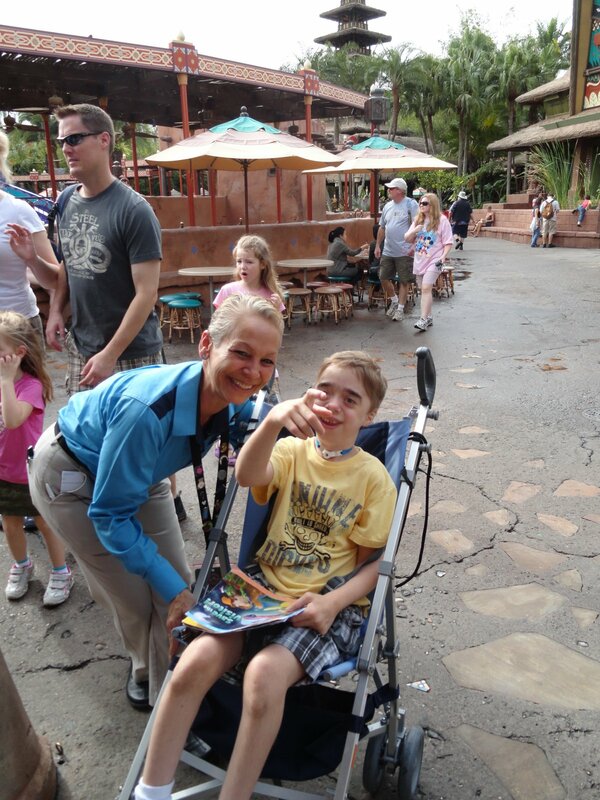 I love reading about Disney Cast Members spreading the magic! Thanks Deb for commenting! The Cast members sure do spread the Disney Magic! Look for more posts this week about some special Cast Members that we have run across during our travels! Thanks! 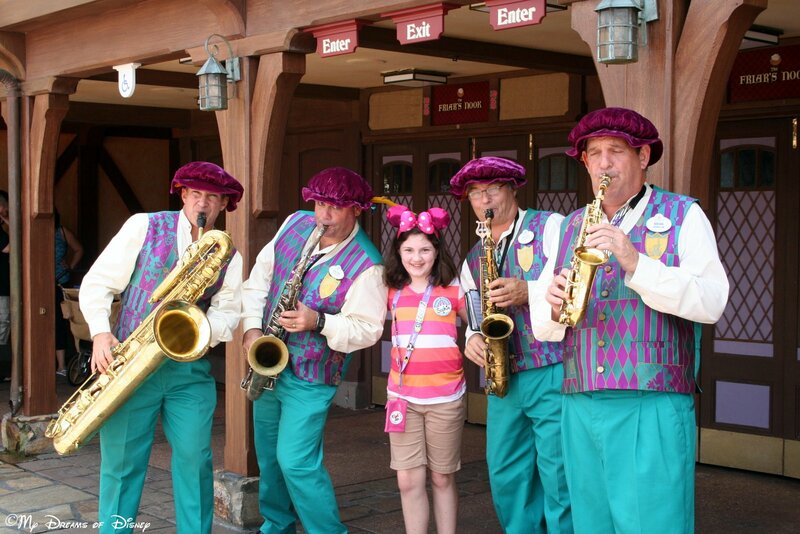 Previous Post: Calling All Cast Members…For Disney In Pictures! Next Post: Are you anxious about your Walt Disney World Moms Panel application?